Are you starting a small business? Do you need funds? 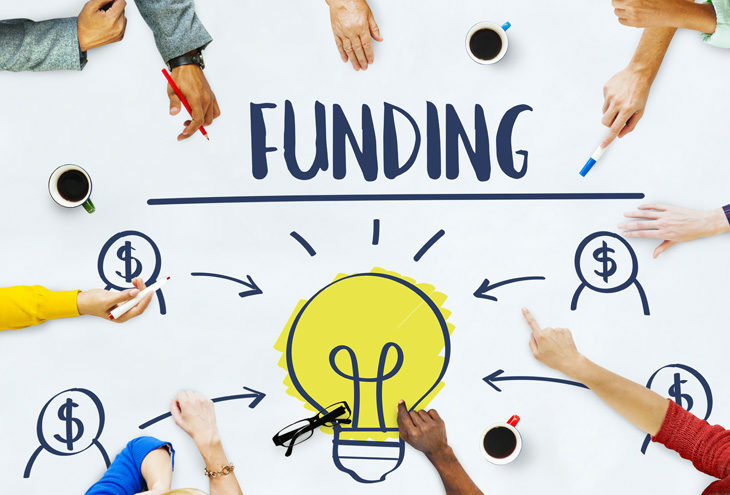 How are three steps to do to apply for funding. STEP 1: How much funding do you need? What are you funding? Your dream or a piece of equipment which will help to build your idea. Many lenders are more inclined to invest in a piece of equipment to help you achieve your goals. Think carefully about what you need funding for. Try to only get funded for what you need. You can do this by getting quotations for the equipment and drawing up an expense sheet to see how much it costs to run your business. With this information in hand you will be able to approach a lender. STEP 2: Who should you get funding from? There are many ways to get funding for your business from your own savings to venture capitalists. These ways can be divided into equity or debt funding. In equity funding, you give some of your business to the investor for their funds. In debt funding, you create a debt which you would have to pay off over time and with interest. this is when the business funds itself. By bootstrapping you use the money which is generated in your company to pay for the equipment and materials you need. If you require a piece of equipment and you can wait a couple of months to save up for it then this is the best way. Some entrepreneurs use their savings or personal credit cards to fund their businesses. Though this maybe a good idea in the beginning. You need to be honest with yourself and ensure that you can afford to lose the money you invest into your company in the event that it might fail. This group of people are always keen lenders but you need to be careful about borrowing money from friends and family. Make sure they are aware of the risks involved in opening up your own business. Ensure that you have a written loan agreement between you and your friend or family member. This will ensure you are both on the right page when it comes to repayments of the loan. Furthermore, make sure you have stated what will happen if the business fails and how will you pay your family or friend back. Without an agreement there could be bad fall outs within a family if you do not make payments or if your business fails. You could get a partner. A partner offers funds or resources for shares of your company. They may be silent. Silent partners are people who offering funding but do not participate in the day-to-day operations of your company. They maybe ask questions if you have a problem but they just reap the benefits from their investment. Other partners could be an individual or a company which offers complementary services to your business. By building this strategic alliance you will be able to assist each other in the growth of your individual business. By accessing a crowdfunding platform, you state what you want to do and how much money you need to make it happen. Then you offer incentives for people who offer to fund your idea. For example, if the funder gives you a substantial amount of money they could get a limited edition of the product. The downside of crowdfunding is that if you do not reach your target in the time you have allocated then you will not receive the funds. Angel investors are affluent individuals who have money they want to invest into small businesses. The benefit of investing with an angel investor is that they may also assist in mentoring you about your business. The venture capitalist is similarly but they are a business or group of investors who look for good business opportunities to invest in. The four leading banks in South Africa each have a small business loan option which is designed to assist small business. The banks normally need to know if you have a good credit record and what assets you have to secure the loan. South Africa has many government grants available for a variety of businesses. When applying for a grant you will need to satisfy a few conditions before the grant will be awarded to you. STEP 3: How do you apply to the funder? Now that you have chosen how you will fund your business. You will need some documentation before you approach them. The two most important documents that most funders require from you are a business plan and a pitch. If these are well-thought out and presented you will be well on your way to getting the funding you require.